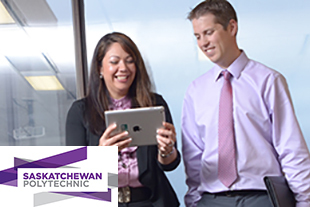 Saskatchewan Polytechnic’s Applied Trade Math MOOC is self-paced online course designed to help students review and improve their applied mathematics skills. Applied Trade Math MOOC will provide students the opportunity to review and improve their math skills. In this course students will review concepts related to addition, subtraction, multiplication, division, fractions, decimals, percentages, measuring, algebra, geometry, and working with money. The course focusses on concepts most commonly used in workplace, apprenticeship and trades environments. I cannot express my gratitude for this program enough. There is a huge need as I am sure you are aware. I see potential benefits for my son (in grade 10), and my co-workers who are in the Heavy Duty Mechanics and struggling with math. I will let them know as well! Registration is open from February 11 until May 31, 2019.